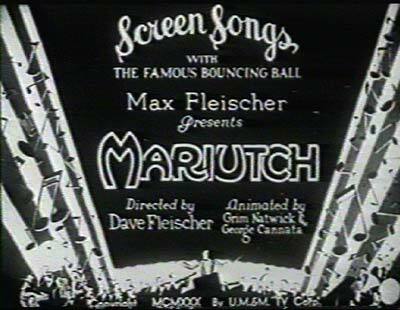 Animation: Fleischer’s Screen Song, "Mariutch"
We continue to digitize and master the Fleischer Bouncing Ball Screen Songs for inclusion in our database. These cartoons haven’t been seen since they were syndicated for television in the 1950s. 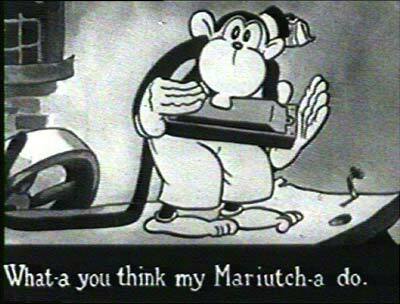 Today’s cartoon is a real gem… "Mariutch" (1930). 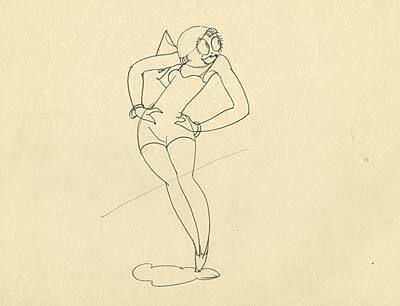 Up to now, the history of animation has been told by studio, or by character. 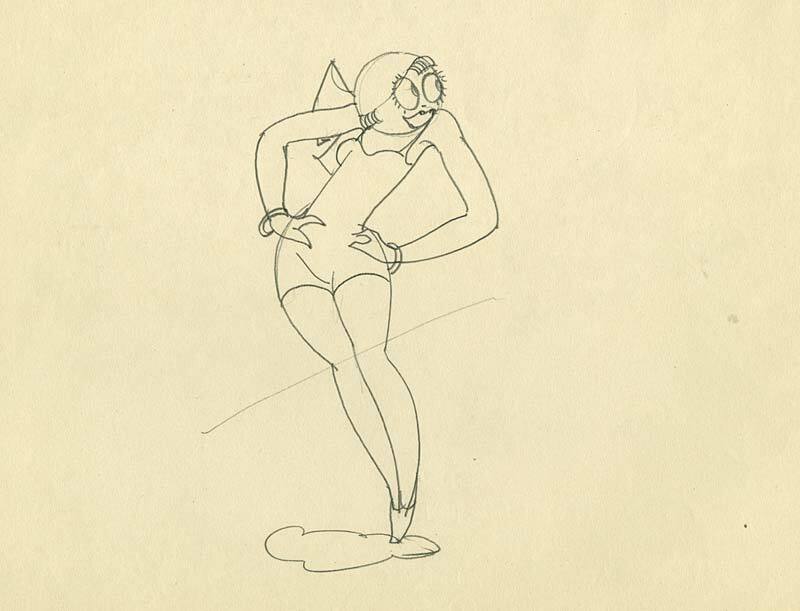 But the true history of animation is the story of the people who created these cartoons. 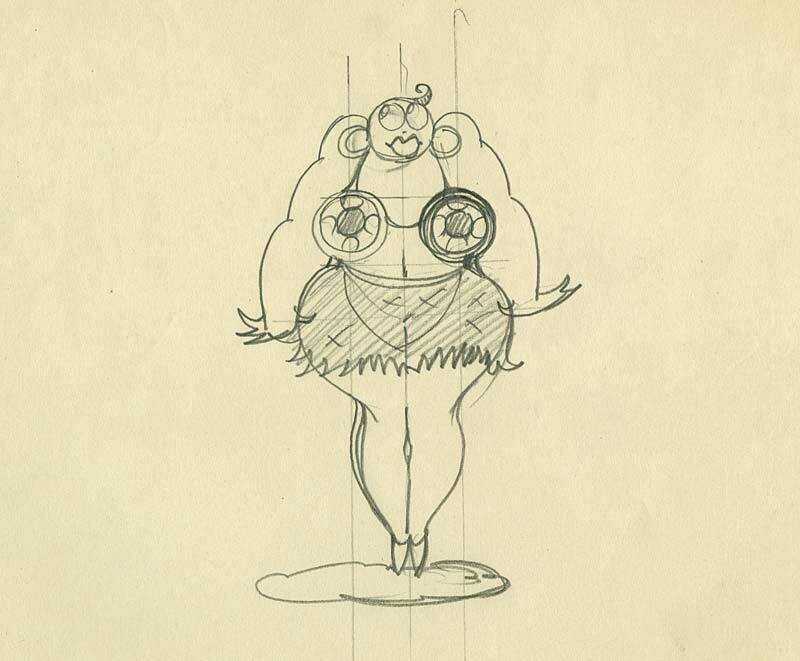 "Mariutch" is important because it vividly illustrates the impact that one man had on the Fleischer Studios. "I’m Forever Blowing Bubbles" looks very much like the Screen Songs and Out of the Inkwell cartoons that preceded it… stark white backgrounds with heavy black lines around the characters. 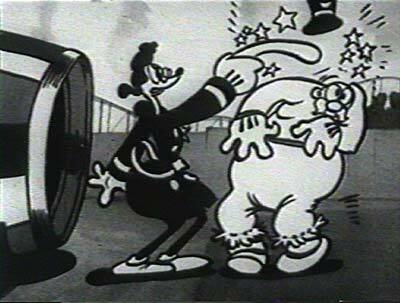 This was the look of the "slash system", a technique using overlapping paper cutouts which predated painting the characters on celluloid. The sound synchronization in this cartoon is pretty clumsy, and charming as it is, some of the drawing and animation is primitive as well. 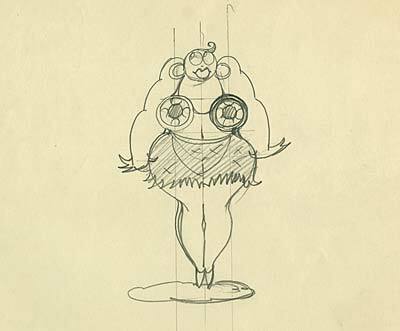 This style of animation was par for the course at the Fleischers in 1929. 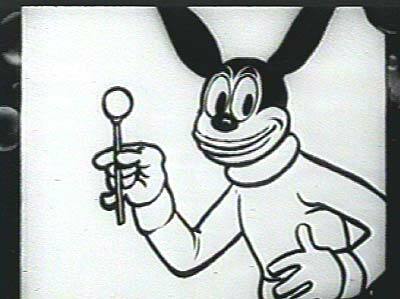 But when Grim Natwick joined the studio in early 1930, the look of the Fleischer films changed completely. A full range of gray tones was added to both characters and backgrounds. 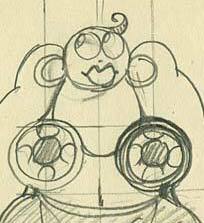 The animation became much more fluid and well-drawn, thanks in great part to Grim’s expert draftsmanship. Along with his crew of kids… Jimmie Culhane, Willard Bowsky and Rudy Zamora, Grim Natwick proceeded to animate things that had never been seen before on the cartoon screen. "Mariutch" appears to have been animated almost singlehandedly by Grim. It includes many examples of his experimental movement and timing, which you can see in abundance in another cartoon we posted a few months back, "Swing, You Sinners". 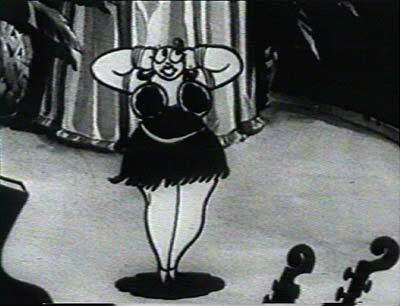 Most of all, this cartoon is notable for the early examples of "Grim girls". 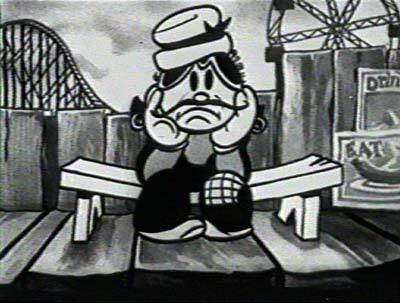 The narration and singing in this cartoon features the first recording star, Billy Murray. He was famous for his dialect songs and made hundreds of records of songs like this for Victor, Edison and Columbia. I hope you enjoy "Mariutch". We’ll have another Screen Song for you soon. This entry was posted on Monday, January 29th, 2018 at 1:53 PM	and is filed under bouncing ball, fleischer, grim natwick.